This last weekend, I was at the range with a buddy who was hammering through rounds on his custom 18” Mid-length AR. It is a great rifle which shoots very well but does not have an adjustable gas block. Then I pulled out a couple ARs with JP, Syrac Ordnance, and even some home brewed adjustable gas blocks for him to feel the difference. His actual quote was “holy crap, when can you do that to mine”. I will almost guarantee that first experience with an adjustable gas block will be an enlightening one. The near absence of recoil and almost non-moving sight picture is stunning to say the least, in the “holy crap why did I not do this before?” kind of way. I have actually had people flip the AR to the left to check if they were firing an .22LR conversion, but rest assured, it is not magic, it is not voodoo, it is though, just simple physics. After my very first JP adjustable gas block, I was sold on the having the ability to tune the gas pressure on a standard direct impingement AR15 system. The advantages are a plenty with a large reduction in recoil, faster recoil recovery, faster sight picture acquisition between shots, heat reduction at the bolt, and a bit cleaner running, all being the primary advantages. 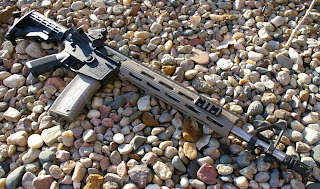 All things in the gas system must be in a zen state of balance, and generally on an AR15 direct impingement system, they are pretty unbalanced tipping gluttonously in favor of a guarantee of reliability while making the deep sacrifice of heavier recoil in the process. 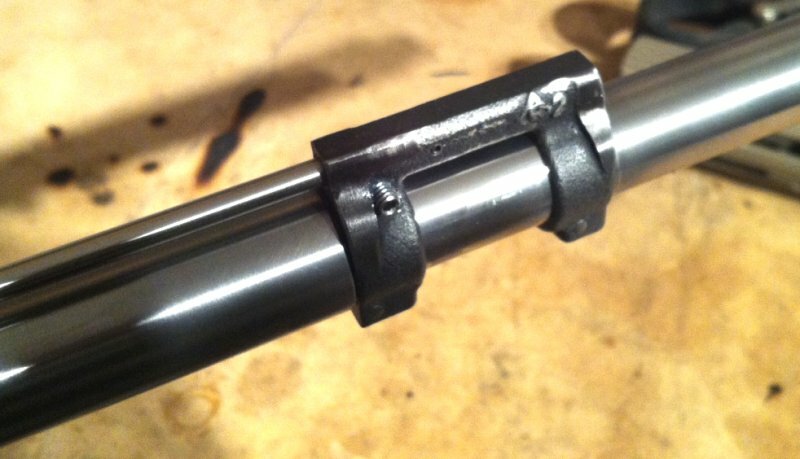 A direct impingement system works pretty simply; round fires, bullet travels down the barrel, pressure is leached off via a gas port (small hole) in the barrel which pushes gas up into a gas block, the gas block reroutes the gas back down the gas tube and back into the BCG (bolt carrier group), that pressure presses on the bolt o-rings inside the carrier which unlocks the bolt and cycles the action. Repeat until the magazine is empty. Through that process, you can see that there are a fair amount of timing dependant items which need to work in concert for everything to function, but lucky for us Mr. Stoner was a genius who built a system which could tolerate a pretty significant amount of slop and manufacturing error and still work. But, ah ha, there is more to the story. 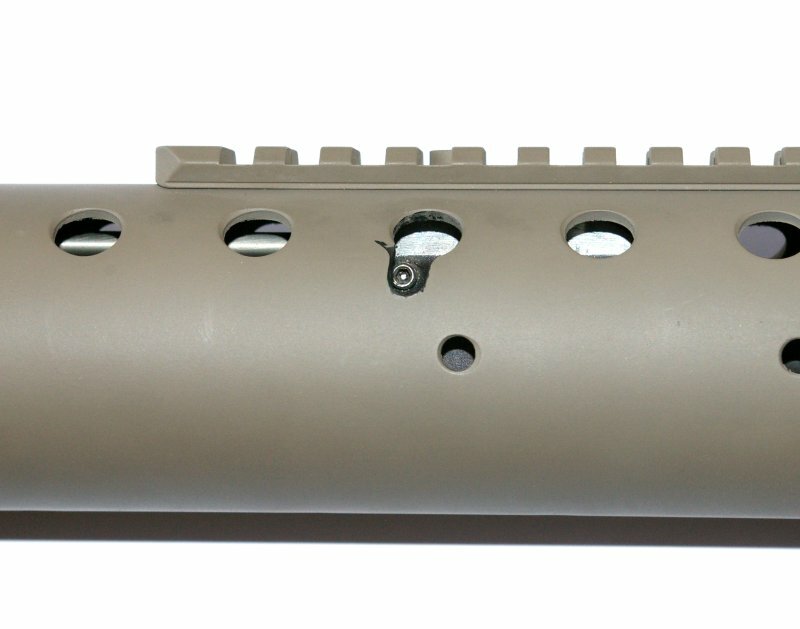 The length and internal dimensions of gas tube, size of gas port in the barrel, internal dimensions of the gas block, placement of the gas block on the barrel gas port (correctly or incorrectly), barrel length, type of compensator or suppressor, placement of the gas port on the barrel more forward or backward, friction of the BCG, position and condition of the o-rings on the bolt, weight of the buffer, rate of the buffer spring, weight of the rifle, rate of powder burn of the ammo, amount of powder, how hot the primer is, bullet weight, whether the BCG bounced during the last cycle and is oh-so-slightly out of battery or not, a shooter’s shooting style, and more all play roles which much be kept in a zen-like balance for functioning to work at the rifle’s optimum tuning point. 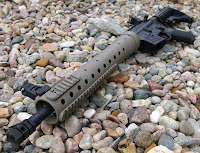 Check out the Superlight YM AR15 Carrier. It would be difficult and irritating to have a firearms which were tuned for an optimum point and then not work right when something as simple as a shooter’s grip could throw off the functioning. The reality is we can tune an AR to perform closer to an optimal state however, we will always have to error on the reliability side with a little extra recoil and gas pressure to assure functioning. Today we can control gas pressure with Adjustable Gas Blocks like those from Syrac Ordnance, use light weight BCG from Young or JP and low mass buffers and springs, however as we approach closer and closer to the optimum gas system tuning point the more picky the firearms will become to ammo changes. This is because bullet weight and cartridge velocity begin to proportionally become more and more important to functioning. I have heard of some heavily tuned race focused 3-gun ARs which will only function with rounds within a narrow velocity and bullet weight range, but for those guys they have the option to only use that one ammo if they like. Generally though, AR15’s are setup for reliability and just blow a shitload of gas back into the action to totally overcompensate for a general lack of engineering or understanding of the other variables. This is kind of like saying you need to kick closed every car door regardless of the car, because you had a Ford Van in 1972 that had a door that needed to be kicked closed. With the understanding that all direct impingement even mid and rifle-length systems are over-gassed by a little, or a lot, we have attempted to reduce recoil and run time failures by optimizing the tuning of the gas system. Unfortunately we have done this not by addressing the main problem of too much gas, but by adding heavier upgraded components typically used to tame full auto cycle rates on short barreled military spec M4 rifles. Because we have too much unregulated gas, we can either decrease the gas pressure or increase the mass/weight of the components being affected by gas pressure to balance things out. This has lead to people using marginally heavier M16 carriers, heavier buffer springs, then heavier buffers, even heavier, and wow-really that heavy of a buffer. In most cases, the weight seemed to do the trick, however in my opinion we fixed the issue incorrectly and added weight and stress to the entire system. After all, if a little puff of air to a light bolt, buffer and buffer spring will do the job all while delivering less fatigue to the components, then why would we complicate things? Well for one, the general populace can venture too close to the tuning window edge and begin complaining that their rifle being unreliable... and in fact we have seen that with a few tunable piston systems which require hotter rounds to function. among one of the most well known. For many of us, the palm to the forehead/illuminating moment came when we started going back to mid-length and rifle-length gas systems which have less gas pressure than our carbine versions, less recoil, seemed to run longer, cleaner, and cooler to some degree, all while being more reliable. Hmmm, less gas pressure. Most people view the adjustable gas block in the same mindset as a fad like Shake Weights or Chia Pets instead of the innovation that it is. Oddly many of these doubters I have talked with seem to embrace the adjustable piston systems which [cough] are in essence adjustable gas systems [cough], but they think adjustable direct impingement systems somehow have less merit. I am a believer in adjustable gas systems, I have shocked and awed myself and others during testing with the dramatic metamorphosis which occurs from transforming a punchy 5.56 AR15 to a flat, soft, and fast shooting firearm by just by reducing gas pressure. Because adjustable gas blocks also allow you to adjust the gas pressure, a carbine can have the same shooting feel as a mid-length, rifle-length gas systems or obviously even far less recoil than either of those gas systems. No longer do the carbine length rifle get shortchanged. I you you really want to toy around with reducing recoil, JP makes light weight Low Mass buffers and JP & YM both make low mass light weight carriers as well which will let you dial down gas pressures even further. With some exceptions, generally all “adjustable” gas blocks work the same. A screw simply pinches closed the gap between the barrel gas port and the gas tube just like a faucet controlling a stream of water. 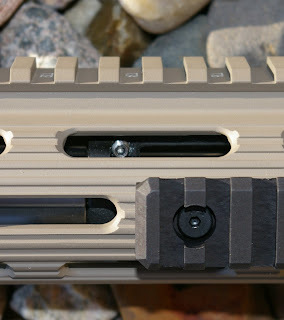 Micro-MOA is the only company which uses a sliding plate assembly. There are now a ton of adjustable gas blocks on the market which offer a screw stuck in a gas block. The idea is so simple even a lightly skilled individual such as myself has converted three standard gas blocks to adjustable versions on a two carbines and one mid-length rifle system. THE most significant problem becomes locking in the adjustment. On some of my home brew versions, unless I have been studious about permanently lock-tite-ing the screw in place, I begin to see pressures slowly increase as the screw starts to walk out. 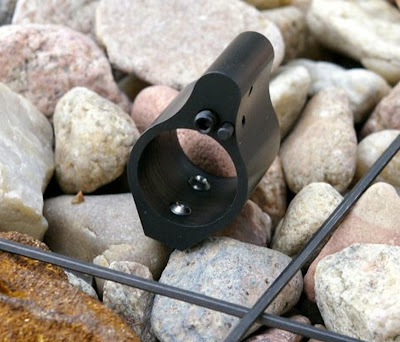 This is where the patented Syrac Ordnance or SLR Rifleworks adjustable gas blocks are the best options.. it locks into position with a detent so the adjustment will never move on you. 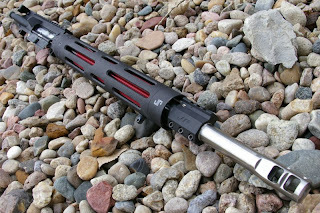 If successful, your AR15 is now optimally tuned for that ammo. If concerned with assuring reliability with a broader range of ammo, then add ¼ or 1/2 counter-clockwise turn. You will get a bit more recoil, however your reliability will increase if you swap ammo a lot. I usually add 1/2 turn and rarely have any problems going forward with any ammo. NOTE - If you move an upper to a different lower assure you use the buffer and buffer spring from the lower used to tune the upper, otherwise the gas block should be re-tuned. 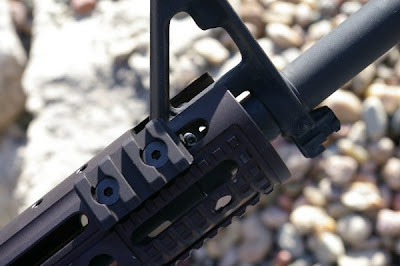 NOTE - Changes to muzzle brakes or flash hiders may require re-tuning. 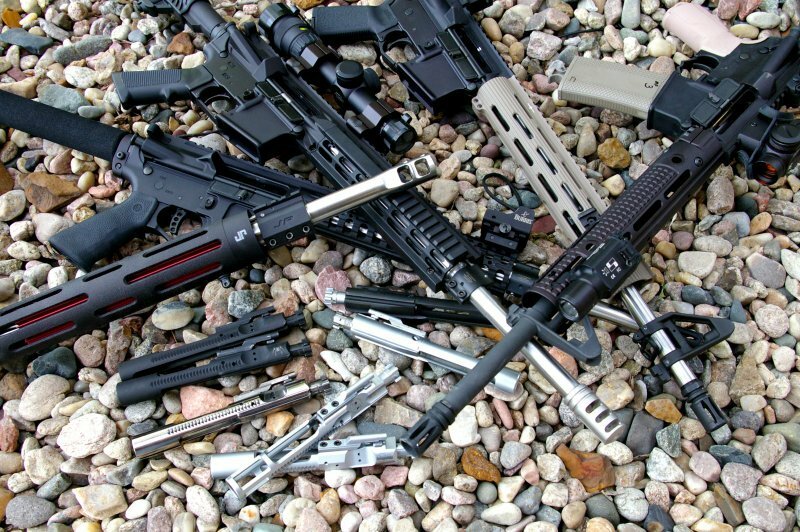 At this point I have converted nearly a dozen AR15s with adjustable gas blocks in carbine, mid-length, and rifle-length systems of which I have made three of the adjustable gas blocks. I have learned a thing or two in the process, but I am am still learning each and every time I start swapping this or that around and change variable the gun operates under. Once you get things set up and tuned plus that 1/4 or 1/2 extra counter-clockwise turn, you will rarely if ever have any reliability issues all while enjoying a better shooting AR. 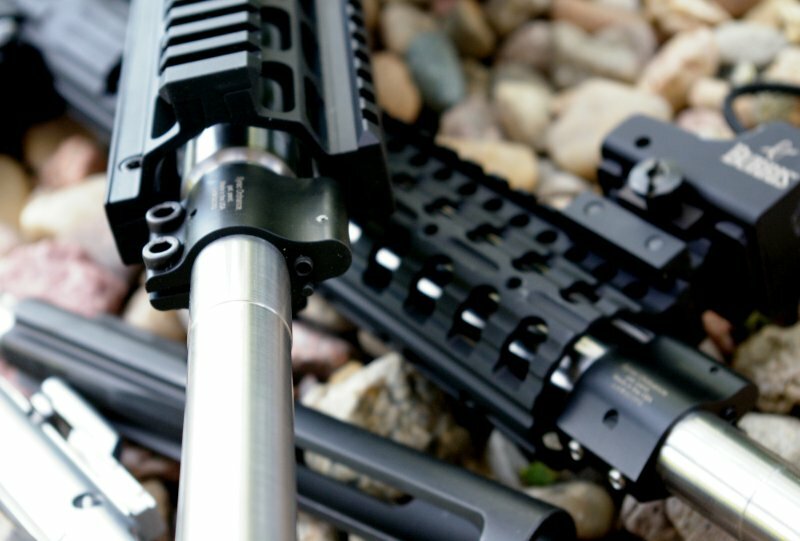 With an adjustable gas block, a standard AR15 BCG, buffer and buffer spring is actually preferred instead of heavier variants and will allow a lower gas pressure setting and net you the biggest benefit of recoil reduction. After all, a lighter BCG, buffer and buffer spring requires less gas pressure to move. It has been my experience that heavy buffers, heavy buffer springs, and M16 carrier groups increase tuning complexity as this extra mass is more sensitive to gas pressure and ammunition changes. 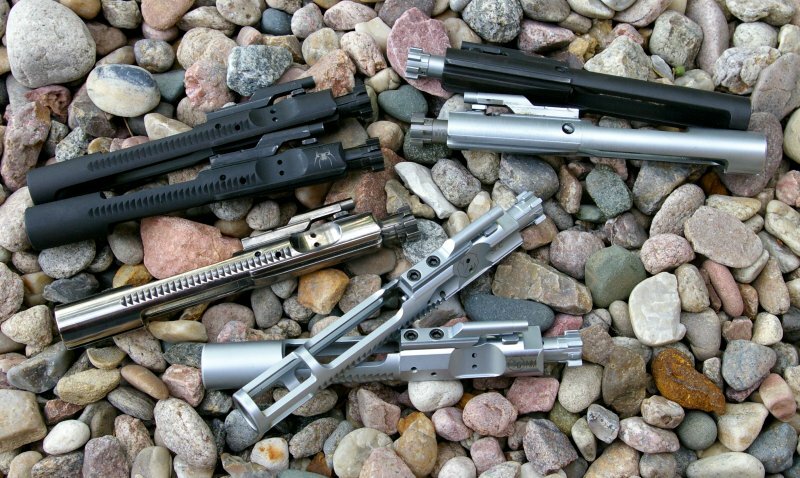 ARs with these heavier components will require a higher gas pressure setting for operation, and will deliver slightly more recoil when compared to systems with standard components. One little trick is to attach the appropriate hex wrench with a little high heat silicon tubing (from most hobby stores) through a hole in the forend nut. It is always there handy in case you need to do a re-tune. The most optimal tuning state would be swapping out to the lightest BCG, buffer, buffer spring, and gas setting possible while still assuring reliability. I am planning a future article just on this subject using the Syrac Ordnance gas block and a set of Young Manufacturing YM Super Light AR15 and heavy National Match M16 bolts for testing. Adjustable gas blocks with forward facing adjustment such as Syrac's are much easier to adjust than typical side mounted adjustment, especially when extended forends are utilized. With the exception of the Syrac Ordnance detented gas block, permanent Lock-Tite is a requirement for any gas block, home brewed or otherwise. Keep a log book of which ammo you have tested in the gun and what adjustments you have made. This should give you a good high low range of adjustment to work with in the future. If you move an upper to a different lower assure you use the buffer and buffer spring from the lower used to tune the upper, otherwise the gas block should be re-tuned. 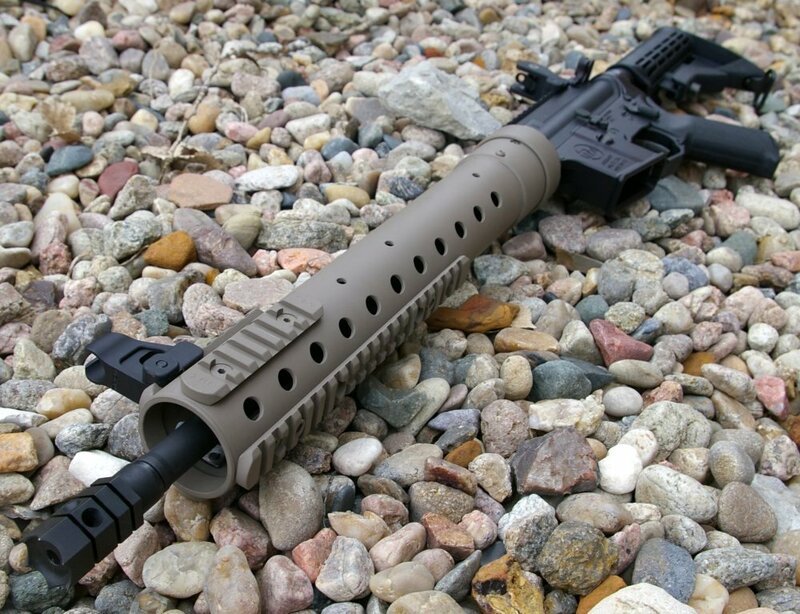 Additionally changes to muzzle brakes or flash hiders, changes to buffer, buffer spring, carrier, bolt, and handloads or low velocity rounds may require re-tuning for optimal reliability. Although, my garage created adjustable gas block concoctions work perfectly, I would recommend JP, SLR or Syrac Ordnance Gas blocks. The JP models offer a top picatinny rail and Syrac Ordnance provide a low profile alternative which slip under even the skinniest handguards. From my understanding Syrac will be licensing their gas block patent to several manufacturers. SLR has a bit different design which features a detent for each setting to assure that the set screw will not slip out of adjustment. 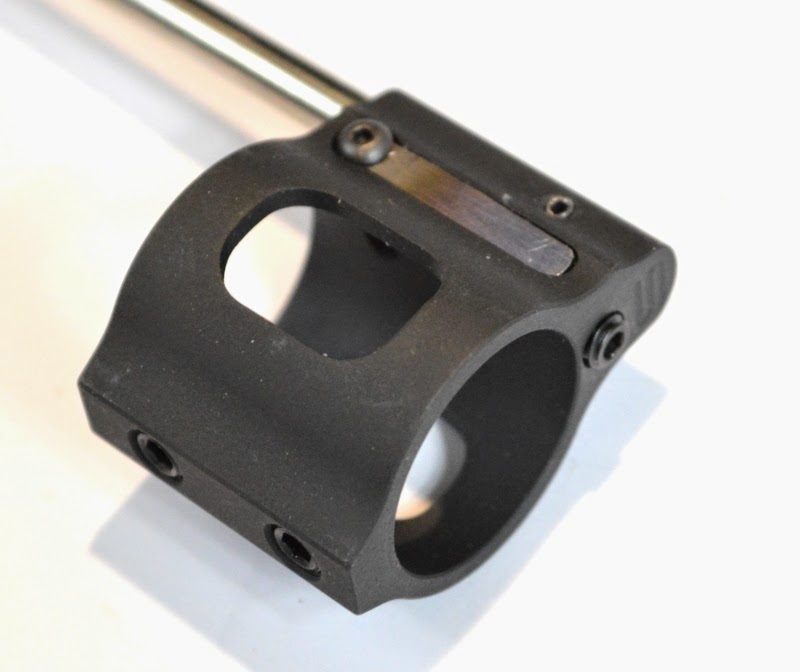 Adjustable gas blocks deliver a dramatic advantage for AR owners and can be one of the best upgrades you can made to shoot faster, reduce fatigue on you and your firearm, and may potentially make you AR15 shoot longer without the need for cleaning. The sizable recoil reduction can made a huge difference to those who are a little sensitive to recoil and I usually start off new shooter with the very light DMPS Oracle build (shown below) with a Phase 5 muzzle brake and New Frontier polymer lower with a home brew adjustable gas block. The build is joking referred to by all as the squirt gun because of how light it shoots after the conversion. 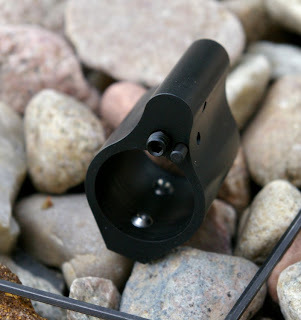 Sure adjustable gas block do require a little tuning and if you swap a low end lower pressure ammo you may have to do a bit of re-tuning to get the reliability you want, however the effort is completely worth it. Adjustable gas blocks make a huge difference in shooting comfort and swapping out gas blocks is a fairly simple task especially if your existing gas block is not pinned. This is an upgrade I strongly encourage. I'm interested is recoil reduction but was wondering what can be expected in accuracy improvement? Gary - Accuracy Improvements from adjustable gas blocks are, in my opinion, due to less shooter fatigue, less recoil, and potentially less weak to the bolt. Some claim that reduced/equalized gas pressure also increase unlock times which has some believe increases accuracy. I have not data on any of these. Thanks for the info!! I have a noreen bad news 338 with a factory adjustable gas block and it can be a bit finicky when changing ammo ( I finally wised up and got Lapua factory ammo). Should I follow the same steps you outline for that rifle?? Yes. Follow the same process. I would tune for your least powerful ammo, or you will always be tuning for each ammo type. I've got a 8" Noveske 300 blackout barrel. I'm running subsonic almost exclusively with handloads. Everything is working ok however I am not getting bolt hold open on last shot. Still wanting to slow them down a bit more. Considering opening up the gas port and putting on an adjustable gas block. I would really like the ability to turn off the gas entirely when desired. Any recommendations? 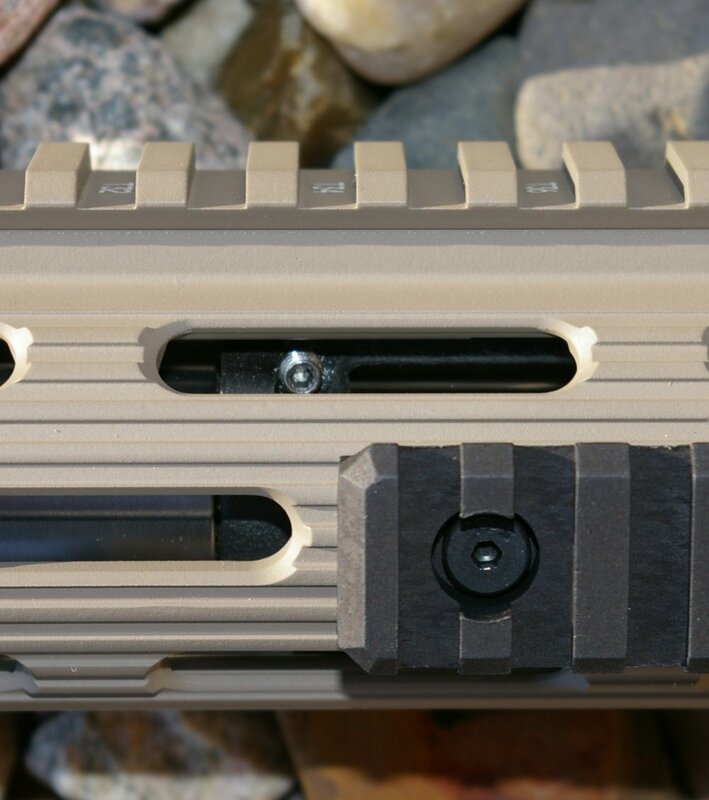 If the bolt is not holding back you do not need an adjustable gas block you need MORE gas and need to open up the gas port. I have been preaching this "snake oil" for years and virtually no one listens. All of 'em will heavily stress their guns with giant buffers and/or huge, honking springs. It is 2015. The current "hot" (popular and good deal) adjustable gas block is the Syrac Gen 2 Clamp On adjustable .750" gas block. Never use their Gen 1 or any set screw item on your barrel. Clamp on is 1000 times more secure. No dimpling needed. Never , ever use set screws! I say this twice to make a point. Very well written indeed. FWIW, I've made a couple adjustable blocks myself & when it's possible I drill & tap a smaller hole to run a tiny set screw down against the threads of the adjuster screw & I've not had one loosen up yet. 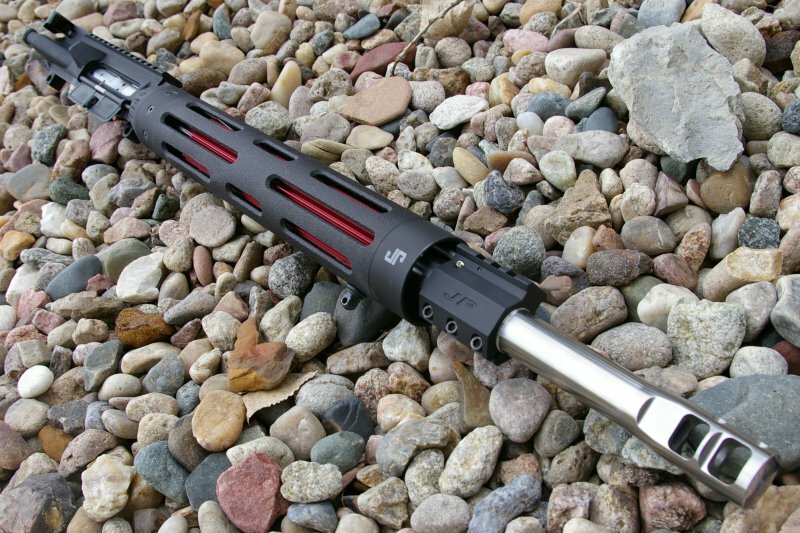 I haven't tried any adjustable gas blocks yet, but my Father-in-Law wants me to build him a .300AAC upper and set it up to be suppressor ready. I understand the principles listed here on adjustable gas blocks, but are there any recommendations on gas blocks for guns set up to switch between suppressed and unsuppressed use? I like the MicroMOA for setups which are intending to swap between surpassed and un-supressed. They toggle back and forth. I'm having trouble with my 20" 6.5CM ar build with slr gas block and carbine buffer. It's chewing up brass and seems to recoil in the 1 o'clock position leaving the last round sitting on top of the magazine. If it's not throwing brass forward it's jamming. I tore it down and polished the bolt, extractor, carrier, chamber, and feed ramps. I'm hoping this fixes the brass demolishing situation but everything I read says I need a heavy H3 buffer and stiffer spring for the Ar10, especially for the last round sitting in the chamber. After reading your article it seems like I should be ok with the adjustable block. Do you think I should switch to a heavy buffer/spring or try to tune it with the lighter one? I'm shooting heavier 140gr bullets now and I'd like to use my supressor if it behaves.